It’s important to note that voice keyword research is still in its infantile stages. Google has not yet made available the search queries that are exclusive to voice search. Because of this, a certain amount of guesswork will be required to optimize for voice search. With HVAC Webmasters, you will have access to years of marketing knowledge relating to the heating and cooling industry, making theose guesses more of estimations. Call (800) 353-3409 to further discuss SEO for voice assistants. Implementing the qualities above into your optimization process is the best current advice for voice search SEO. As Google reveals more data from these searches, we’ll be able to more precisely target measurable queries. Still, there is not time to wait, and the process must start now. Just as people were late on the trend of desktop to mobile, many will be late to the voice recognition revolution. HVAC Webmasters can prevent you from becoming one of those who lags behind. Although featured snippets cannot be “marked up”, other elements of your content can be, and that should help your chances of being pulled by a voice assistant. HVAC Webmasters offers schema markup which breaks down your individual services down, and communicates their segmentation to Google. Since Google will be feeding this information to voice assistants, rich snippets can increase visibility, or in this case; discernibility. Any action that increases the likelihood of leads, is worth pursuing. It’s always better to be early on a trend than late. 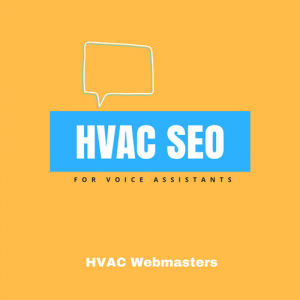 HVAC Webmasters can help you start the transition to SEO for voice search and give you a leg up on competitors in your industry. 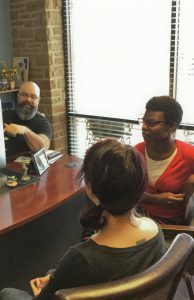 We have years of data resulting from our work with heating and cooling contractors, and look forward to this next exciting change in the digital marketing landscape. By partnering with us, you ensure your website evolves with the latest digital trends. 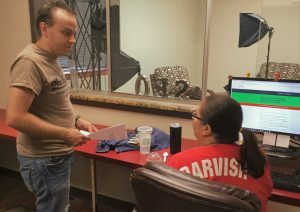 Call (800) 353-3409 to learn more about SEO for voice assistants. Updated on April 10, 2018 at 8:09 pm by HVAC Webmasters.